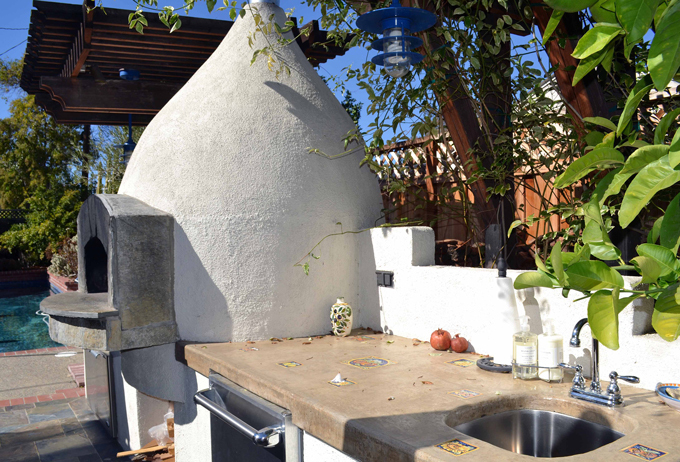 I can only imagine how AMAZING the pizzas must be from your outdoor pizza oven! Rain or shine an outdoor oven would call to me any day. Wonderful!! We love it, not just for the pizza and other wonderful foods that have been prepared in the forno. The sense of community and warmth it brings to a gathering is indescribable. You are always welcome…. Boy am I jealous! We’ve talked about building a pizza oven for some time but have yet to do anything about it. I think I went for over 20 years without eating pizza when I moved here (I’m from NY) and finally we now have some good pizza. I’ve done it on the grill, in the fireplace and in our oven but would be thrilled to have the real deal. Oh-and now I have to make a pepper and egg sandwich! Janie, being a Jersey girl I completely understand. Come and visit us and we can make it a pizza afternoon. Pepper and egg sandwich – bliss….